Super strength car shampoo, provides a long lasting shine. Contains ‘water dance’ technology. Effortlessly removes traffic film and dirt, guaranteeing a high gloss, streak free finish every time, leaving your paintwork squeaky clean. Contains innovative water beading technology that instantly repels water on contact. Ultimate protection and shine. The nourishing formula restores a tough mirror finish showroom shine back to your car, wash after wash – time after time. and add ultimate protection to your paintwork. No other car polish shines like it or lasts like it. Suitable For all paintwork finishes. Locks in the shine. Proven paintwork protection for up to 12 months. 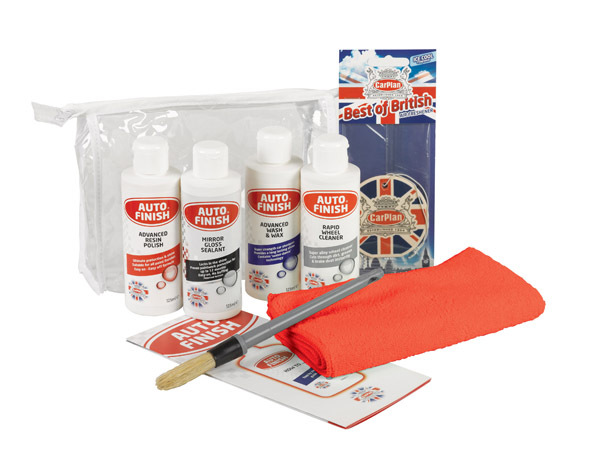 Unique Nanomeric polymer resin formula bonds to paintwork, creating a totally smooth surface to repel dirt, water & sunlight. The revolutionary clear formula seals the surface to prevent fading or oxidising & protects against surface damage and scratches. Seals in a long lasting, lustrous showroom shine. Super alloy wheel cleaner, cuts through dirt, grease & brake dust instantly. Used by the professionals as it is quick, effective and delivers outstanding results. Suitable for use on lacquered wheels, painted steel wheels and plastic wheel trims. Simple brush on –hose off formula.